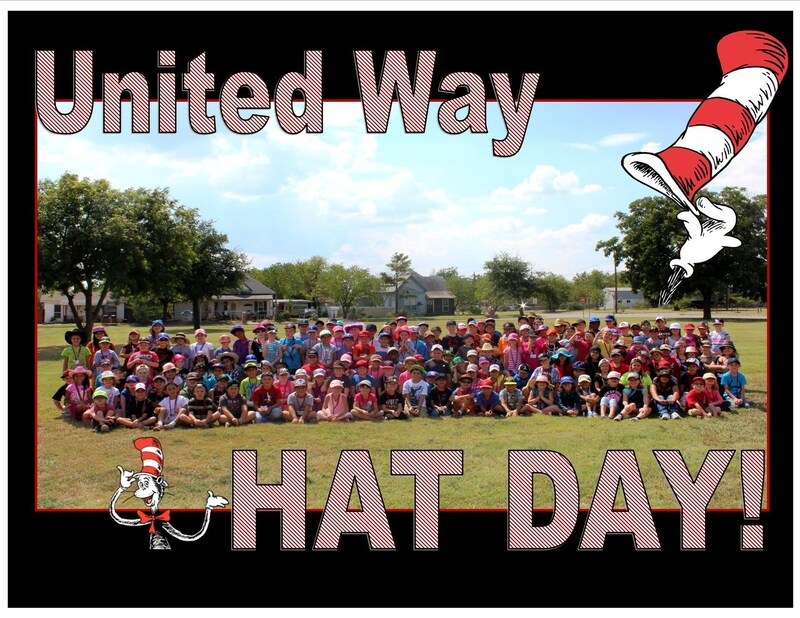 Houston Elementary students hold a fundraiser for United Way of Palo Pinto County in the fall. Houston Hat Day was on Friday, September 25. Each hat in the picture represents a $1.00 donation given by each student to wear their favorite hat at school. United Way is one of the easiest, best ways to give back to the community. United Way of Palo Pinto County funds dozens of local agencies. The Annual United Way campaign gave our students a chance to participate in the community-wide project of sharing, caring, giving, and volunteering.